We are changing...just a little. 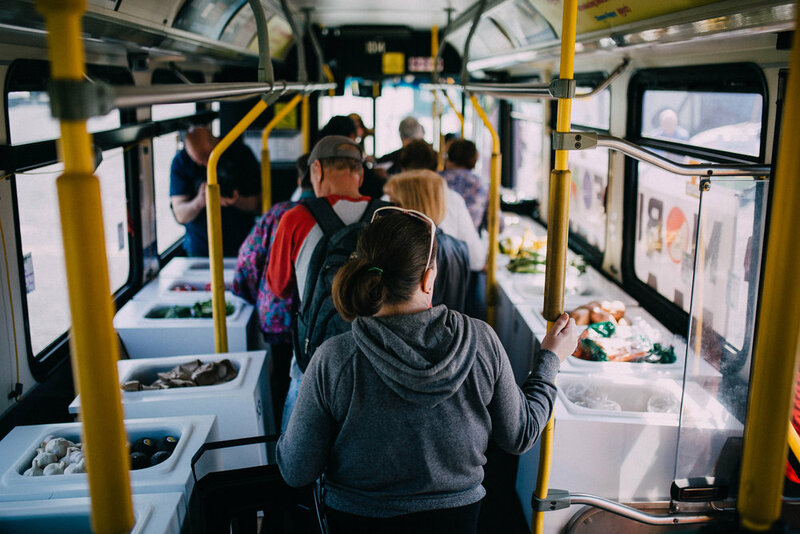 The Mobile Food Market now has two types of markets: standard mobile markets and our new Produce Packs. Our mobile markets will offer a great selection of fresh, affordable fruits, vegetables and bread for customers to browse and purchase. Our Produce Packs will offer community members the opportunity to place an order for a $10 bag of fresh, affordable fruits and vegetables. Orders will be placed two weeks in advance and the Produce Packs will be available for pick up every second Wednesday. Please visit our Schedule for market locations and times as well as Produce Pack ordering details. For more information contact the Mobile Market Manager here. We sell fresh, high quality fruits and vegetables at affordable prices. We sell only fruits, vegetables and bread. Produce sold may change week to week based on price, customer preference and availability. We accept both cash and debit at the Markets (with the exception of Northwood which is cash only), but the Produce Pack payments are cash only. While we do have bags on hand, we encourage people to bring their own.